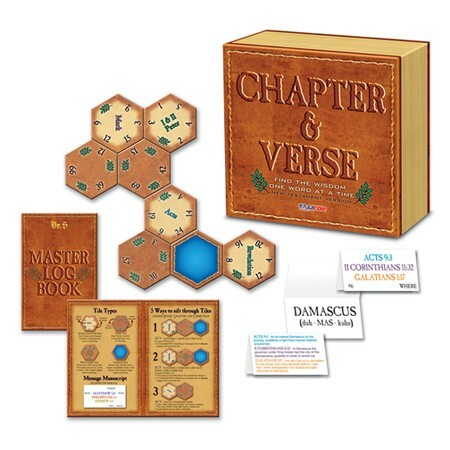 Sift through ancient tiles, build links, decipher secret codes, outwit your opponents, and claim your reward of biblical wisdom---one word at a time! Includes 42 book and chapter tiles, 33 verse tiles, 12 marker tiles, 4 master log books, 76 message cards, and instructions. Two to four players, ages 6 and up.